Were Hedge Funds Right About Piling Into Palo Alto Networks Inc (PANW)? Hedge fund interest in Palo Alto Networks Inc (NYSE:PANW) shares was flat at the end of last quarter. This is usually a negative indicator. The level and the change in hedge fund popularity aren’t the only variables you need to analyze to decipher hedge funds’ perspectives. A stock may witness a boost in popularity but it may still be less popular than similarly priced stocks. That’s why at the end of this article we will examine companies such as Cintas Corporation (NASDAQ:CTAS), Credicorp Ltd. (NYSE:BAP), and POSCO (NYSE:PKX) to gather more data points. We’re going to take a glance at the recent hedge fund action surrounding Palo Alto Networks Inc (NYSE:PANW). What have hedge funds been doing with Palo Alto Networks Inc (NYSE:PANW)? At the end of the fourth quarter, a total of 46 of the hedge funds tracked by Insider Monkey held long positions in this stock, a change of 0% from the second quarter of 2018. 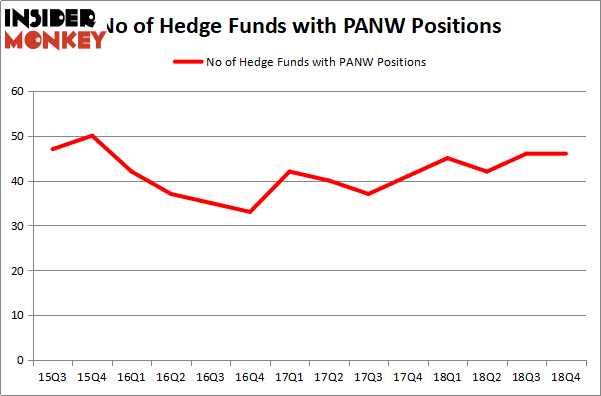 By comparison, 45 hedge funds held shares or bullish call options in PANW a year ago. With hedgies’ capital changing hands, there exists an “upper tier” of noteworthy hedge fund managers who were boosting their stakes substantially (or already accumulated large positions). Among these funds, Renaissance Technologies held the most valuable stake in Palo Alto Networks Inc (NYSE:PANW), which was worth $810.7 million at the end of the third quarter. On the second spot was Two Sigma Advisors which amassed $210.3 million worth of shares. Moreover, Cadian Capital, Millennium Management, and D E Shaw were also bullish on Palo Alto Networks Inc (NYSE:PANW), allocating a large percentage of their portfolios to this stock. Seeing as Palo Alto Networks Inc (NYSE:PANW) has faced falling interest from the aggregate hedge fund industry, we can see that there lies a certain “tier” of hedge funds who sold off their positions entirely heading into Q3. 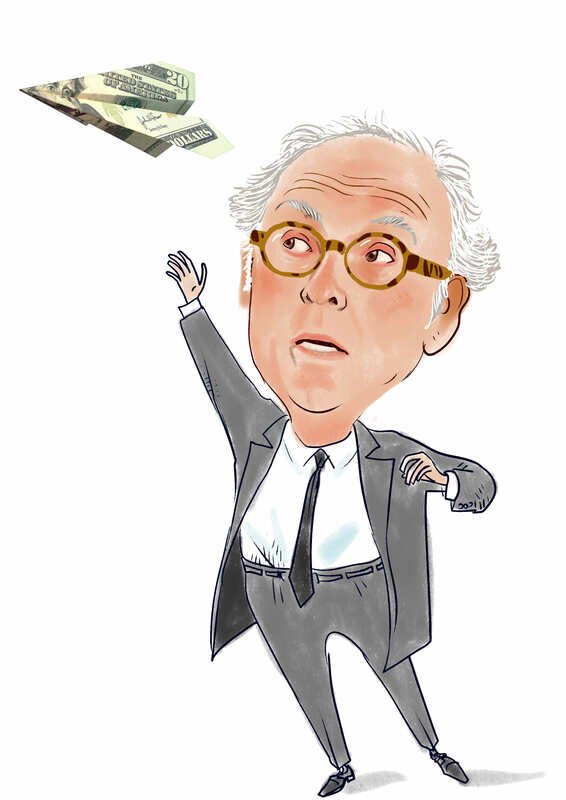 Interestingly, Sander Gerber’s Hudson Bay Capital Management said goodbye to the largest stake of the “upper crust” of funds monitored by Insider Monkey, worth close to $91.7 million in stock, and D. E. Shaw’s D E Shaw was right behind this move, as the fund cut about $57.3 million worth. These bearish behaviors are interesting, as total hedge fund interest stayed the same (this is a bearish signal in our experience). Let’s go over hedge fund activity in other stocks – not necessarily in the same industry as Palo Alto Networks Inc (NYSE:PANW) but similarly valued. These stocks are Cintas Corporation (NASDAQ:CTAS), Credicorp Ltd. (NYSE:BAP), POSCO (NYSE:PKX), and Cheniere Energy Partners LP (NYSEAMEX:CQP). This group of stocks’ market valuations match PANW’s market valuation. As you can see these stocks had an average of 15.5 hedge funds with bullish positions and the average amount invested in these stocks was $403 million. That figure was $2204 million in PANW’s case. Cintas Corporation (NASDAQ:CTAS) is the most popular stock in this table. On the other hand Cheniere Energy Partners LP (NYSEAMEX:CQP) is the least popular one with only 4 bullish hedge fund positions. Compared to these stocks Palo Alto Networks Inc (NYSE:PANW) is more popular among hedge funds. Our calculations showed that top 15 most popular stocks among hedge funds returned 19.7% through March 15th and outperformed the S&P 500 ETF (SPY) by 6.6 percentage points. Hedge funds were also right about betting on PANW as the stock returned 27.3% and outperformed the market as well.